In a business environment where communication is paramount, but where the conferencing services used are nearly as diverse as the devices they run on, it’s fitting that a company would try to reconcile this scattered landscape with a solution that places emphasis on interoperability. Enter Blue Jeans Network. 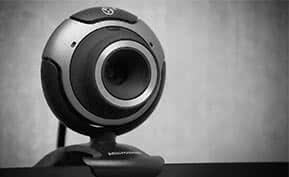 The cloud-based video conferencing service, which launched in June 2011, enables individuals within an organization to communicate and collaborate regardless of where they are or what devices they use, and without the restraints of traditional conference rooms. Blue Jeans Network is all about ease and efficiency. For starters, there’s no infrastructure investment required. All you need is an account with Blue Jeans—which you can create on their site—a video device, and an Internet connection. Hosting a meeting is as easy as clicking a link or calling a phone number, and attending a meeting is no more difficult. In addition to flexible scheduling options, administrators can manage meetings with a full set of features—this means you can mute the attendee who is calling in from the squash court. In May of this year Blue Jeans announced its integration with Microsoft Outlook, making scheduling a Blue Jeans meeting a frictionless activity for the 500 million users of Outlook worldwide. Blue Jeans Network really excels in the area of compatibility. 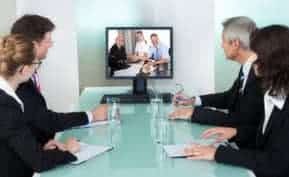 Their service works as a unifying conferencing platform for users across a huge range of conferencing systems. It doesn’t matter if you’re calling in from a mobile device, room system, or desktop video system. Whatever it is, there’s a good chance you will seamlessly connect to the meeting. 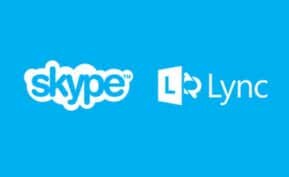 Polycom, Skype, Microsoft Lync, and Google Video Chat are all supported. Perhaps the only noteworthy exception is Apple FaceTime, which is not yet supported by Blue Jeans Network. Blue Jeans pricing plans range from Individual Unlimited (up to 3 attendees, $199 per month) to Business Unlimited (up to 25 attendees, $599 per month). Blue Jeans also offers a Per Port MCU Alternative plan for enterprise customers that need a more robust solution. If you’d like to test the service before you buy, there’s a 14-day free trial period. Current Blue Jeans Network customers include Facebook, the Sierra Club, foursquare, and Stanford University. Headquartered in Santa Clara, Calif., Blue Jeans Network is a private company backed by Accel Partners, New Enterprise Associates, and Norwest Venture Partners. Looking for more information on Blue Jeans and other cloud conferencing solutions? 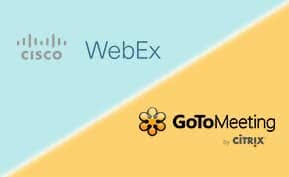 Download our exclusive comparison report of the top web conferencing tools to review the key features, pricing options and deployment models of leading platforms.